A massive 199 pieces of Aboriginal art are being donated from the Debra and Dennis Scholl Collection in Miami to three US museums. The lucky trio are the Metropolitan Museum of Art in New York – recent beneficiary of Indigenous paintings from the Kaplan and Levi Collection - the Frost Art Museum in Miami and Reno's Nevada Museum of Art, which has curated two big touring shows of the Scholl's art in recent years. The trio has agreed to share the works, according to a statement the institutions issued last Friday. The Nevada Museum, in Reno, and the Frost, which is part of Florida International University, Dennis Scholl’s alma mater, are each getting about 90 works. The Met will receive 19 works, mostly by female artists such as Nonggirrnga Marawili, Gulumbu Yunupingu, Angelina Pwerle and Wintjiya Napaltjarri. Men collected by the Scholls range from Paddy Bedford to Tjumpo Tjapanangka, Ngarra and Prince of Wales. 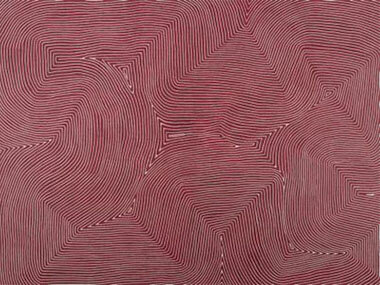 Probably the most desirable Aboriginal artist in America is Warlimpirrnga Tjapaltjarri, for Scholl exposure of his work has lead to solo commercial shows in New York. 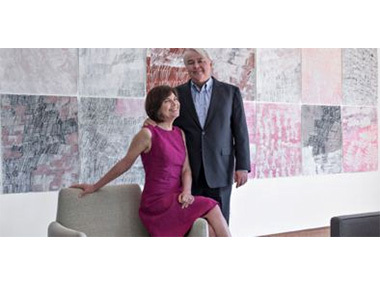 The Scholls own more than 400 works by contemporary Australian Aboriginal artists, making it the largest private collection in the U.S. And this is the second major art donation by the couple, who gave 300 works by trans-Atlantic contemporary artists to the Pérez Art Museum Miami in 2012 as they began collecting Australian art. Debra is the chair of the board of directors for one of Miami's alternative arts spaces — Locust Projects. Asked whether this gift meant that he'd lost interest in collecting Aboriginal art, Dennis Scholl responded: “We are still in the middle of acquiring lots of commissioned memorial poles for our upcoming four museum exhibition opening in 2019. That is taking most of our time and resources, as the show will be pretty large. And our women’s show opened it’s third venue at the Scottsdale Museum of Contemporary Art last week. After that, it will go to the Nevada Museum of Art, the Phillips Collection in DC and to Vancouver. So, we remain busy and booked with shows until 2020”. But that's not quite the whole story. 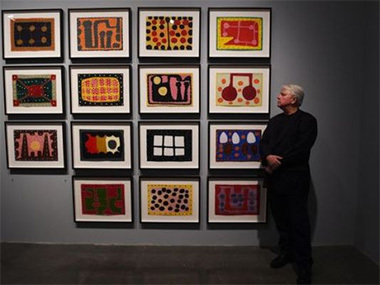 As Dennis Scholl told an American magazine recently: "Each of our collections has a life of around a decade, after which I felt like the intellectual curiosity that brought me to the body of work had been satisfied, so each time we began to search for a new field of art to explore, research and build a collection in. I think this reminds us that the joy is in the creating, the learning and the intellectual stimulation, not the ownership of the work…one body of work leads you to another. So (after a decade with Aboriginal art) we are headed into a new direction now, pursuing and building a collection of drawings beginning in the post-war era and leading right up to work made last Tuesday".